The following movies are reproduced for teaching purposes, with the kind permission of David Peacock of the Titanium Information Group. The following images have kindly been provided by Andrew Fairbank who created them for teaching purposes. They are reproduced with permission. 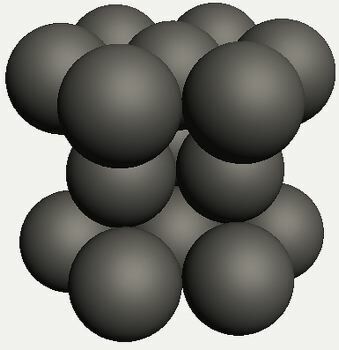 Hexagonal close-packed crystal structure of titanium. 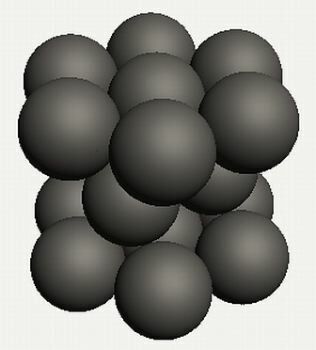 Hexagonal close-packed structure of Ti, compared with face-centred cubic, body-centred cubic and body-centred tetragonal structures of iron. 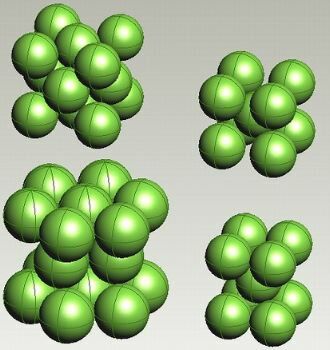 These images use the correct relative sizes of the Ti and Fe atoms. 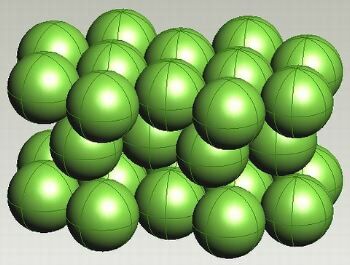 This size difference and the 14.27% lower atomic weight of Ti contributes to its lower density.